Marketing history has taught us a lot when looking at traditional media print, radio, and TV. 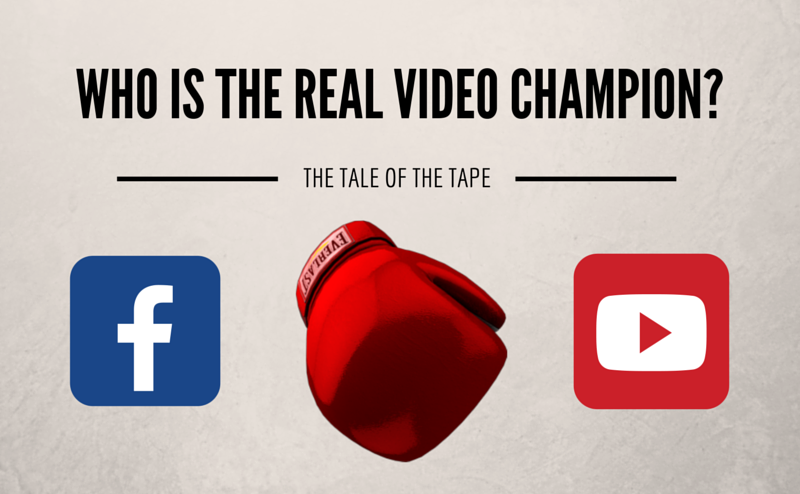 TV dominated because of massive reach, engaging video content, and no competition. The entertainment and news value TV provided combined with the immediacy and ease of use made it the go to for advertisers. Today, everyone and everything is a media company with advertising inventory to sell. What we also see is a two-headed monster in Google and Facebook providing very similar characteristics to when TV was in its prime with small tweaks. YouTube, for instance, provides news, entertainment, and educational content at scale. Combine this with a weaving trust for the mainstream media outlets; YouTube will continue to grow because it adds value to each user. Facebook reach incomparable (insert stat here !*!*). Coupled with an algorithm that promotes video content specifically live you create enhanced real-time engagement. Each of these platforms while similar and different, continue to feed each other’s growth with each iteration to their respective platforms. Lean Back (YouTube) – Similar to TV, YouTube provides a lean-back environment and the ability to digest content in comfort for an extended period. Users are ready for sound nine times out of 10 with headphones. Moreover, this works against YouTube in many ways as users could be leveraging the platform for a podcast or music playlist limiting viewability of the video creative. More importantly and impactful are the how-to and instructional segment that is garnering the higher cost per views (CPVs) primarily due to key watch time, and view rate metrics is a huge opportunity for advertisers from an influencer and TrueView Targeting perspective. YouTube users also engage differently by platform. Desktop – Users watch video for longer, which makes sense as they don’t usually have to hold the device and have a big enough screen for an exceptional viewing experience. Ad engagement is not high however view rates (users who make it past 30 seconds) are usually higher. This platform also sees a higher click to install / conversion primarily due to our comfortability with purchasing. Tablet – holds the lowest conversion rate, however, the highest social engagement. You can usually find a 3-5x increase in comparison to mobile when analyzing earned views, subscribers, etc. Tablet often comes at a purchase premium due to the lack of inventory. Lean Forward (Facebook) – The largest social platform started as a website filled with relevant social content and continues to expand on similar characteristics with their app that now garners the majority audience attention on the mobile device. When a user decides to enter into the Facebook experience, it’s a two button experience with the sound more than likely excluded. The eyes catch the first post then the thumb starts to scroll. Similarly, on the desktop, the hand never leaves the mouse. We are waiting for engagement, and that’s what makes Facebook’s native ads so engaging and profitable. First, you don’t know it’s coming. Second, the ad and product usually align with your interest based on Advanced Targeting. The ad is usually beautiful based on Facebook’s algorithm which promotes better content at a lower cost for advertisers who can prove higher user engagement. Facebook creates an engagement very similar to search where the platform puts the user in a search mode. Either searching for an answer on google or searching for engaging content on Facebook. Leaning back or Leaning forward each has their similarities and differences. The fact is that there is Google (YouTube), Facebook, and everybody else. They hold the data necessary to make any competitor Targeting obsolete. They’ve created programmatic buying solutions with no minimum spend a high school student could master if given the opportunity. Both AdWords and Facebook provide an all-encompassing solution to advertisers with a plethora of formats, platforms, Targeting, and creative capabilities. In closing. Lean back or Lean Forward, consumers are always in search of a better version of themselves. It’s our job to meet them on a platform and provide the best user experience that adds value. Looking for an Marketing Media Agency Partner that gets it?